The all new Ycalc X5, is powered by Logikal. This flexible new estimating software package for glazing contractors and contains YKK AP’s most popular products, including those from the enerGfacade® energy saving family and ProTek® hurricane and blast mitigation family. 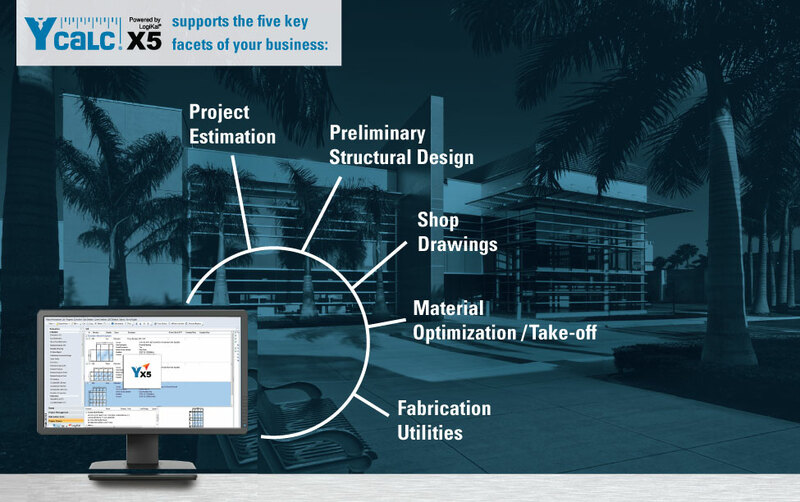 The basic software includes modules to support the most important areas; Project Estimation, Preliminary Structural Design, Shop Drawings, Material Optimization / Take-off, and Fabrication Utilities. Additional functionality is available for purchase through Orgadata including; CNC with cutting option, CNC, Machining’s and Bar Drawings,3D Interface CAD / Geometry, 3D Interface Conservatories, CAD-Suite 2D. Click the “Request Info” button on this page. The product is sold and serviced by Orgadata USA, Inc. Direct all inquiries regarding the purchase of Ycalc X5 to Orgadata Colorado offices at 1-800-746-0641. A video illustrating the 5 key functions of Ycalc X5 is available on Youtube®, click here to view. Orgadata USA, Inc. will offer Webinars to customers inquiring about the product. You are welcome to join one of the sessions if you want to boost your knowledge. Contact Orgadata USA, Inc. for a demo. what is our promotional offer? Contact Orgadata USA, Inc. at 1-800-746-0641 for promotional information. The training consists of a 2 day class performed by associates. Customers will be given the opportunity to attend a free training session within the city where a current YKK AP sales facility resides. Schedule all training through Orgadata USA, Inc. associates. Ycalc® is a registered trademark of YKK AP America Inc.
Logikal® is a registered trademark of Orgadata USA, Inc.